I haven’t written anything creatively for several weeks. But to flex my creative muscles, I thought I’d share a photo along with a story. I may do this regularly. I have a lot of photos with back stories to share. 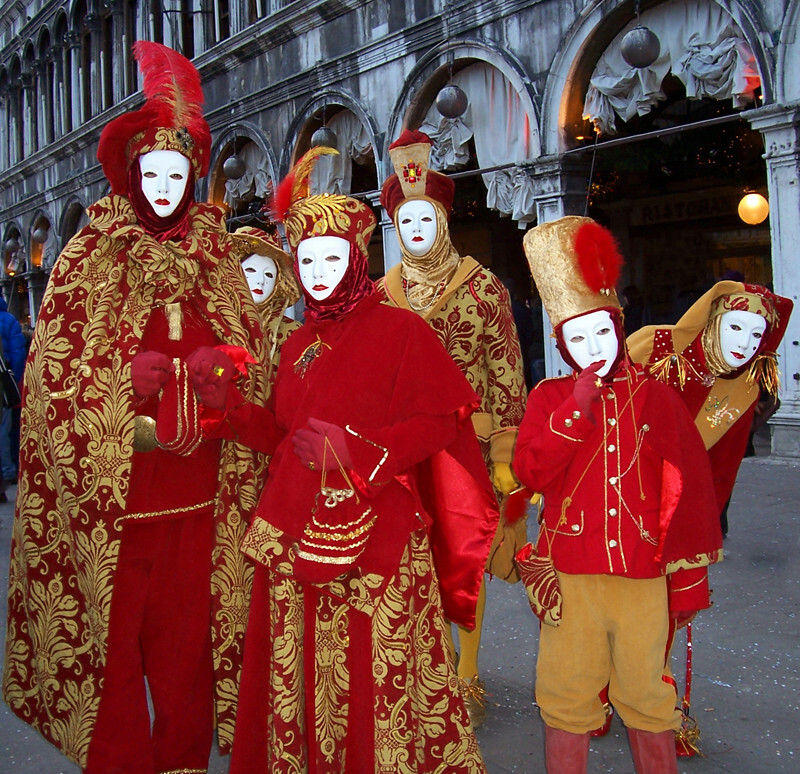 My friends and I arrived in Venice just in time for Carnevale. That actually wasn’t the point of our trip. Our actual destination was Vicenza, which was to be our home base for a shopping trip to buy pottery in Nove. We flew into Venice (from snowy Belgium), took a bus into town, and stored our luggage at the station so we could spend our first day taking in the spectacle. As you might imagine, it’s a feast for the eyes. It’s impossible to know where to look because there is so much to see in every direction. Elaborate costumes everywhere you look, and just when you think you’ve seen the best one, you look in another direction and see one even more incredible. The photo above is one of many I took that day – it’s my favorite. I did not ask this family to pose for a photo. They saw my camera pointed in their direction and stopped – all of them – right there in the crowded square. Spontaneous and unplanned. It was a perfect moment, gone in a second, but I have it preserved for eternity. The people behind the masks will remain a mystery to me, and it’s better that way, I think. To know them would take away from the magic of Carnevale – a celebration that brings perfect strangers together for memorable moments like these.